20 new role models you need to know. When we launched Thrive Global last November, we set an ambitious goal to end the collective delusion that burnout is the price we must pay for success. All of the data shows the opposite is true—prioritizing your well-being is crucial for achieving your personal and professional goals and living a life filled with meaning and purpose. And one of the most effective ways to help accelerate this culture shift is to spotlight the new role models who get it—the leaders who are proving that taking care of ourselves enhances our productivity and creativity. These are the people who are changing the way we work and live. Today, I’m thrilled to introduce The Fuel List—a Thrive Global and Quaker collaboration honoring 20 new role models who are changing the way we fuel our minds and bodies to thrive every day. These honorees—academics, authors, entrepreneurs, scientists, and beyond—span the worlds of sleep, nutrition, mindfulness and movement. What they share is a conviction that, for all the challenges and distractions we face, it’s ultimately in our power to bring about changes in our lives that can improve every aspect of our performance and leave us more fulfilled. You don’t need to look any further than world-class athletes to know that well-being and performance are directly related. As five-time Olympic medalist and mentor Nastia Liukin says, “There are no shortcuts to success. 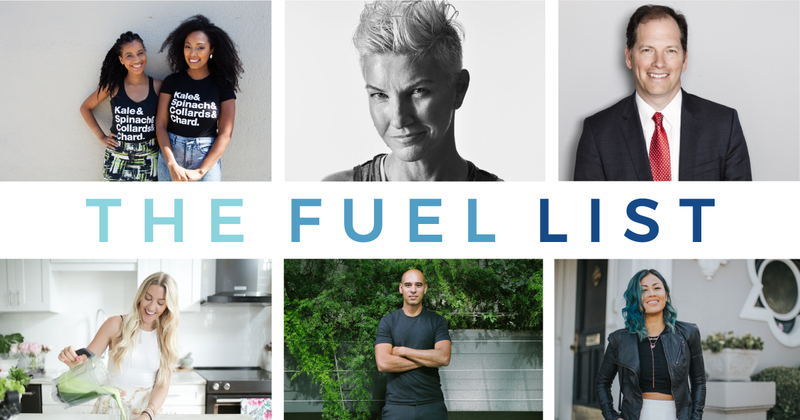 It takes patience, passion and persistence.” Our Fuel List honorees range from pioneering researchers like Dr. Ellen Langer and Matt Walker to inspiring voices like body positive activist Jessamyn Stanley and bestselling author and chef Candice Kumai. We’re so happy to champion their voices and achievements as new models of success. Our panel of judges—Callie Schweitzer, Thrive’s Chief Content Officer; Candice Morgan, Head of Inclusion and Diversity at Pinterest; Sadira Furlow, Senior Marketing Director of Consumer Engagement, PepsiCo North America Nutrition and myself—selected these 20 people for the impact they’re having on their communities and the world. They are leading the way in the four pillars of well-being that are essential to thriving—and bringing others along with them. We’re so happy to champion their voices and achievements as the new model of success.